WOMEN IN CONSTRUCTION WEEK GIFTS! 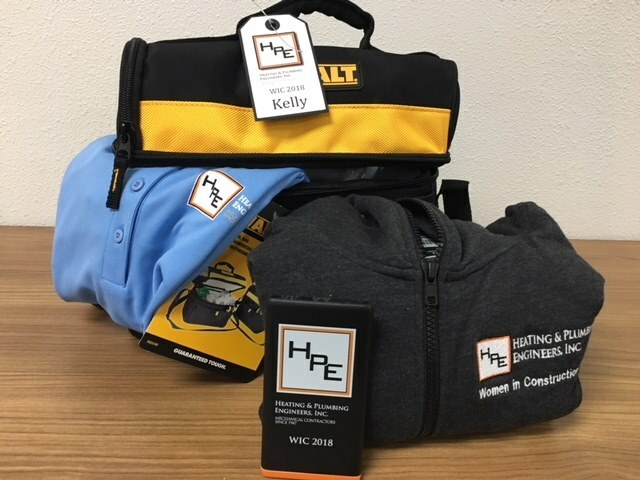 To show HPE's deep appreciation for all the amazing Team HPE women during Women in Construction Week, this week – each female employee received these great gifts of logoed HPE swag, including a DeWalt lunch box, HPE shirt, HPE zip hoodie, and HPE power bank! It's a small but heartfelt token of thanks for the gigantic efforts put in by the women of HPE, every day! Happy Women in Construction Week and Happy International Women's Day!